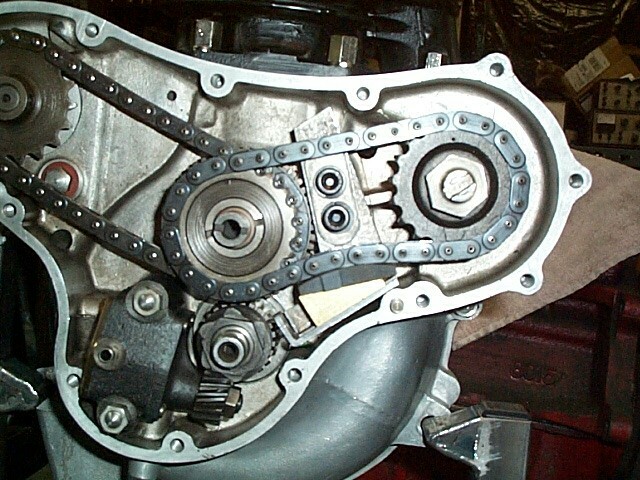 My Automatic timing chain adjuster. Norton heavy twins, twin chain motors....magneto and rear points. This is a mockup, but using a few of the production pieces. The main steel support is the actual piece, and the brass wedge is the real thing. The delrin shoe is the commando one. but the spacing and visual is the same. The main challange was the fitting of the timing cover with out hitting the steel support....finally after a few dimensional "corrections", the proper configuration was found.